Welcome to your next office. A 10-minute calm drive from the busy city and the heart of Kuching, Sarawak- and you’re here. A second home and a hub for aspiring entrepreneurs, Borneo744 is an initiative by the Federal Government to strengthen and complement the national entrepreneurship ecosystems through the National Blue Ocean Strategy (NBOS); addressing the rapid pace of innovation and change in recent years by creating new markets in the form of entrepreneurship and the arts. 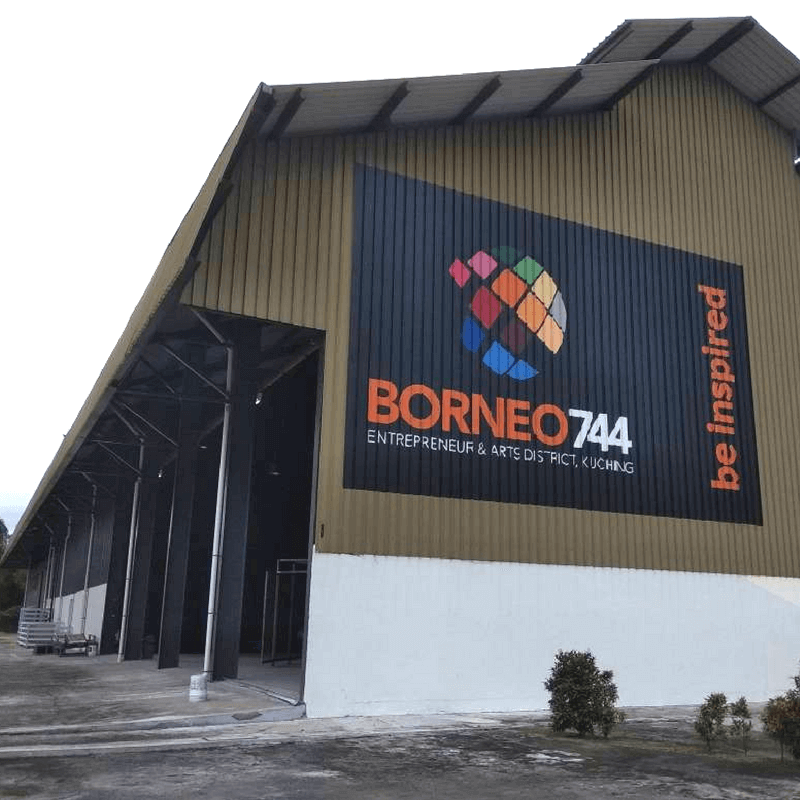 Borneo744 invites everyone to ventures in eight key focus sectors, namely entrepreneurship, performing arts, music, visual arts, crafts, fashion, films and start-up manufacturing and support. It was fun to have everyone in Kuching cat-walk during Borneo Fashion Week 2017. The former mechanical workshop situated in Bintawa is transformed into a large, spacious hub with great vibes for youths and entrepreneurs to network and grow businesses. Meet, work, and play: Magic Sarawak at Borneo744’s co-working community at Block B is a second home to many local entrepreneurs, freelancers and digital nomads. With events and programmes lined up for both public and focused groups, the centre calls upon aspiring entrepreneurs and creative talents in Sarawak to nurture a winning, vibrant community. As Malaysia’s first Blue Ocean Entrepreneurs Township (BOET), community-driven hangouts happen here. Join the vibrant Co-working Community at MaGIC Sarawak @ Borneo744. Register at bit.ly/MaGICatB744! See an opportunity and looking to rent long-term space? Or need a space for a conference or events? We can help. Call us at (+60)82 283 744 to know more.